Aku Wuwu is a poet of the Yi ethnic minority in China, also a literary critic and a professor at Southwest University for Nationalities. 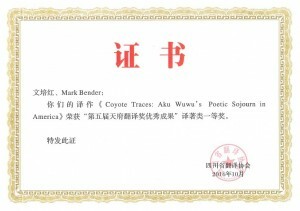 Coyote Traces – Aku Wuwu’s Poetic Sojourn in America 凯欧蒂神迹 – 阿库乌雾旅美诗歌选 is Aku’s second bilingual poem collection published at The Ohio State University (co-published by 民族出版社). The first book, Tiger Traces includes poems in Chinese and Nuosu language (the language of the minority group Yi), and were translated into English. 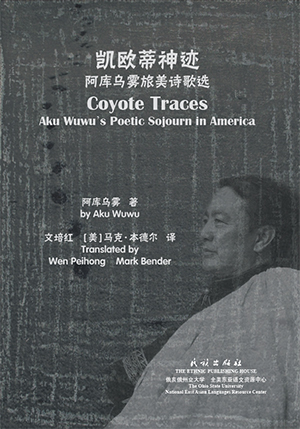 This book Coyote Traces consists of 80 poems written in Chinese about Aku’s observations and insights during his travels among people of various races in America from Aku’s unique perspective as a cross-culture individual himself. This book also includes two valuable interviews of the author by one of the translators – Professor WEN Peihong(文培红), also from Southwest University for Nationalities. The other translator is Professor Mark Bender from DEALL, long-time friend of Aku Wuwu. Here, we present the recitations of the poems in this book, as sound is always an important part of poetry. Please choose from the menu on the left or click below to continue. 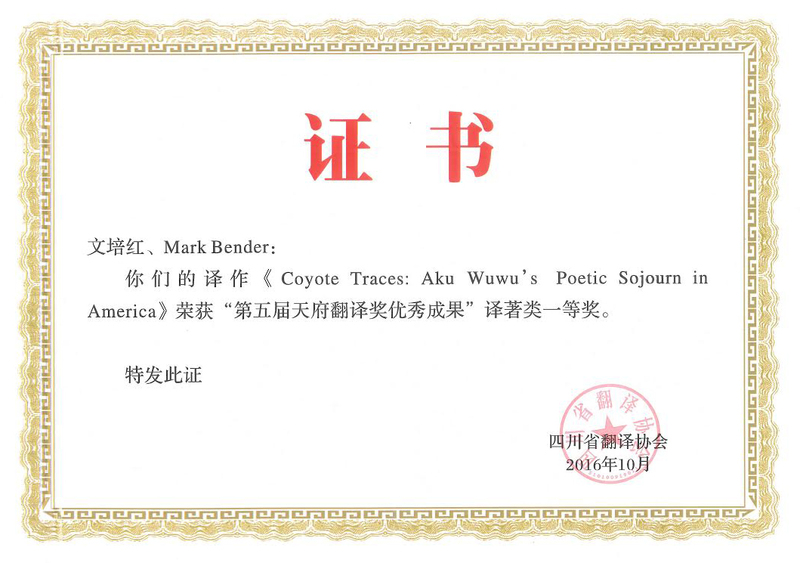 Coyote Traces has been awarded the “5th Tianfu Translation Prize” “第五届天府翻译奖” (Tianfu Fanyi Jiang), the only First Prize for translated books. It is an annual prize for the best translated work in Sichuan Province, chosen by an experts committee.